We carry a variety of baked goods, sweet treats (truffles, etc. ), coffee drinks, and offer a light lunch/savory snack menu. 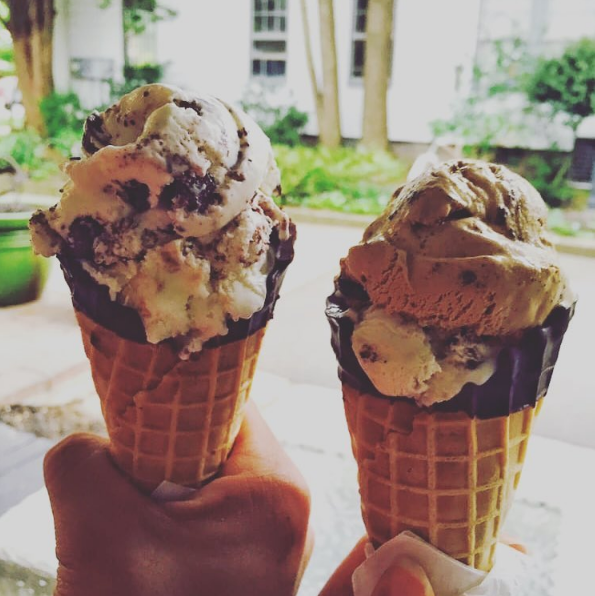 We try to cater to as many people as possible, and carry over fifty flavors of hard ice cream, gluten free options (including cones! ), and a revolving selection of lactose free/vegan “No Moo” flavors. Our delicious soft serve is nut, gluten, soy and egg free! We source local products when possible (now including Farmer’s Cow milk, cream, and assorted drinks).